UPDATE: I have a more streamlined script available at https://github.com/mcandocia/fit_processing that performs FIT->CSV, GPX->CSV (needs testing), and CSV->censored CSV (blocks out some fields if they are within a certain radius of user-defined coordinates) conversions, as well as archiving the processed results. I recently purchased a refurbished Garmin Forerunner 230, along with a heart rate monitor, with the hopes of being able to acquire more accurate GPS data (and heartrate info) on a smaller device. With the Strava iPhone app, you can download data in a .gpx format, which is a type of XML. Garmin, however, uses a .fit file format. This is a binary file format that allows a wide variety of data to be included in workouts, such as profile information, heart rate, and traditional time/coordinate information. Converting these files to a useful format, however, is a bit tricky. Unfortunately, when I used it, GPSBabel did not look for anything other than coordinate information, so the times/heart rate info were lost. The same was true when I tried converting it to GPX. I discovered a library for Python called fitparse. 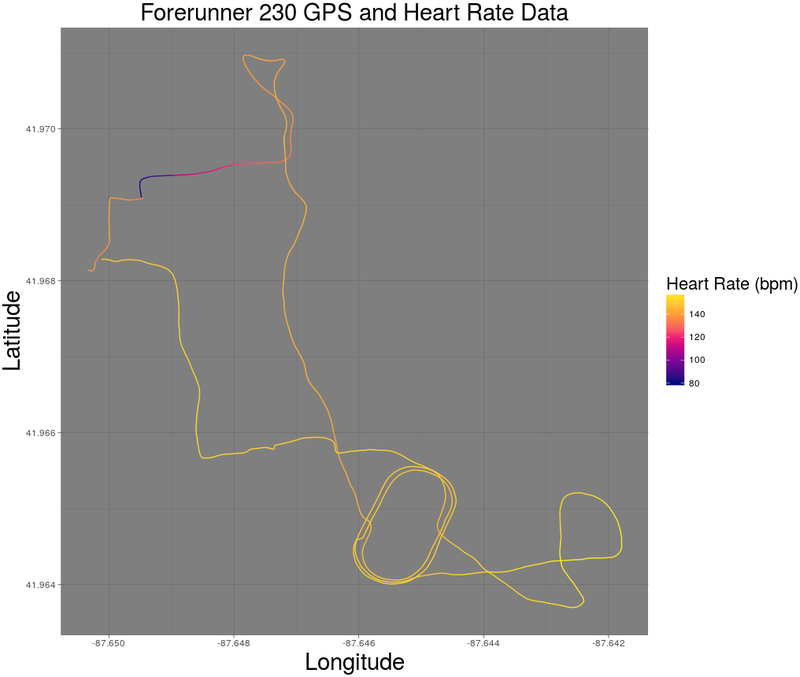 The library converts all of the data in a .fit file to a Python class object, which contains a messages attribute that contains most of the useful information in the file, including the GPS coordinates and the timestamps/heartrates/step cadence/etc. that goes along with it. I strongly recommend Python 3 for this library, as I had issues when trying to use Python 2.7. There is a tool called "fitdump" that comes with the library, but it is an incomplete script. Below I have my own file that I use for converting .fit files to CSV. You can find an updated version of the code that extracts lap/start/stop time information on my GitHub. in R (thanks to my colleague & friend James Balamuta for that idea). 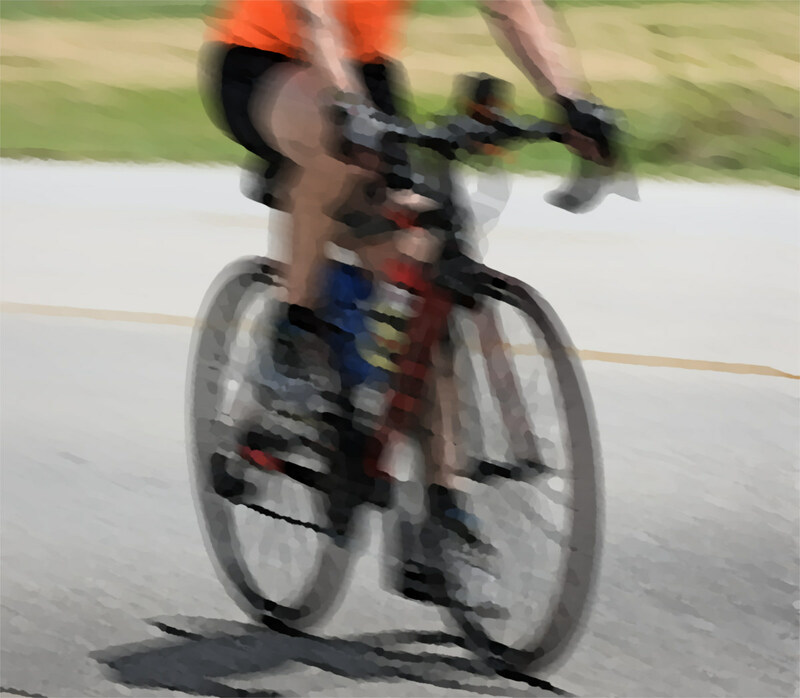 Biking Calorie estimators can be mysterious, as many factors go in to how much power it takes to bike in various scenarios. 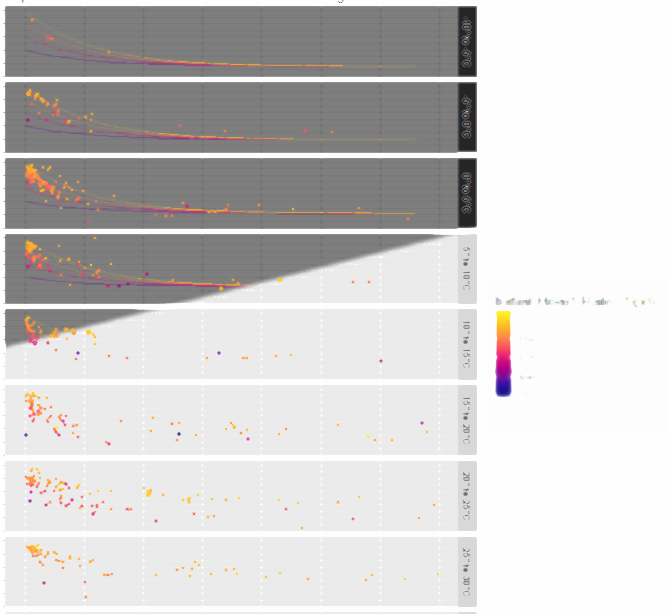 Here I try reverse-engineering the calculations Strava uses for its own estimate.